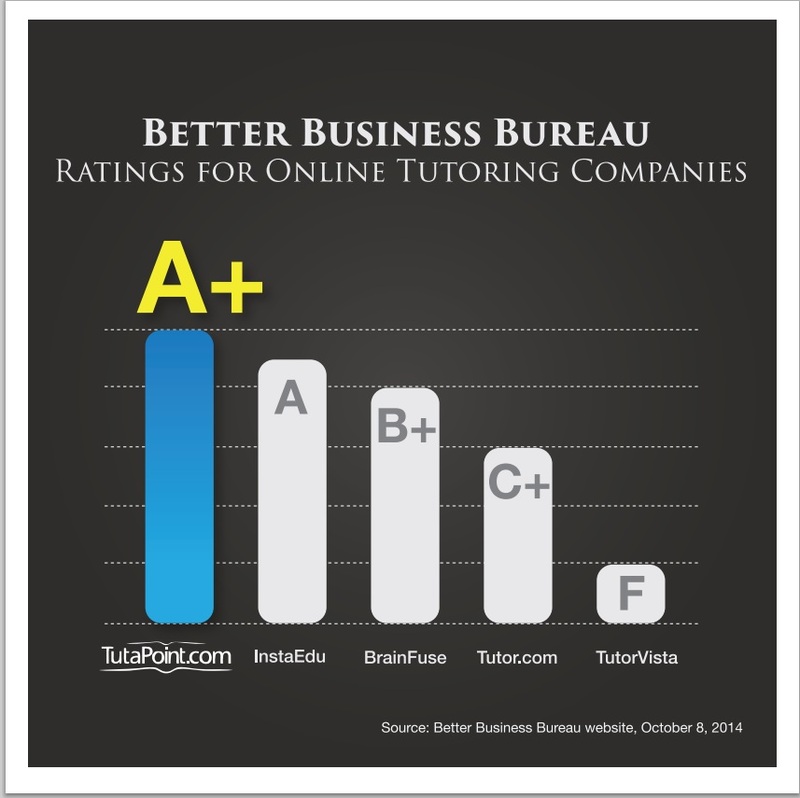 Parents, teachers and schools rely on rating services like the Better Business Bureau to ensure they engage the best possible academic tutoring service for their children and students. Parents and teachers should take many things into consideration when selecting a service to provide academic support, including depth of expertise, where the service providers are located and of course, ratings from firms like the Better Business Bureau. TutaPoint online tutoring is proud to have an A+ rating with the Better Business Bureau. This rating is earned by providing first-class customer support and excellent online tutoring, test preparation and other synchronous learning services to students. TutaPoint is the only online tutoring company among it peer group to have an A+ rating. TutaPoint provides online tutoring in math, science, language arts and other subject area to students across the country using only tutors from the United States. “Using tutors and instructors from the United States is a huge differentiates TutaPoint from other providers. Some online providers will try to save costs by outsourcing to practitioners overseas, however we find that students learn most effectively from instructors based here in the United States”, said Duques. Despite its high quality delivery, TutaPoint is able to provide the most competitive pricing options to both schools and parents alike. Pricing options include pay-by-the-hour or monthly plans, and schools are able to purchase specific services to fit their needs. Ratings for this article were taken from the Better Business Bureau website on October 8, 2014.